Bhutan is a sovereign state landlocked in the Eastern Himalayas in South Asia. The official name of the country is the Kingdom of Bhutan. Bhutan borders China to the north and India to the south, east and west. 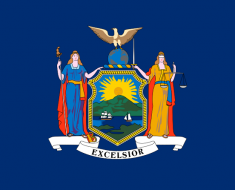 The official language is Dzongkha. As of 1 January 2016, the population of Bhutan was estimated to be 781,168 people. Bhutan about 300 kilometers (186 miles) long and 150 kilometers (93 miles) wide encompassing an area of 46,500 square kilometers (17,953 square miles). Bhutan is divided into 20 dzongkhags (districts), and further into 205 gewogs (village blocks). 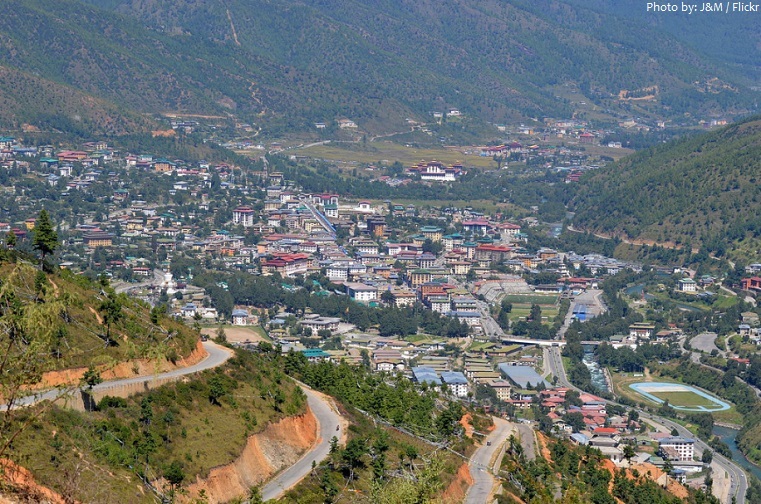 Thimphu, is the capital and largest city of the Kingdom of Bhutan. It is the most modern city in Bhutan with an abundance of restaurants, internet cafes, nightclubs and shopping centers, however it still retains its’ cultural identity and values amidst the signs of modernization. 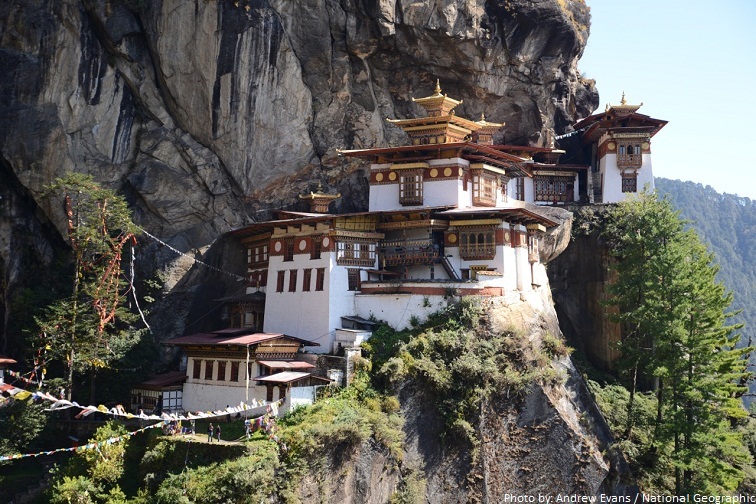 Bhutan is known for its monasteries, fortresses (or dzongs) and dramatic landscapes that range from subtropical plains to steep mountains and valleys. Gangkhar Puensum is the highest mountain in Bhutan and a strong candidate for the highest unclimbed mountain in the world with an elevation of 7,570 meters (24,836 feet). 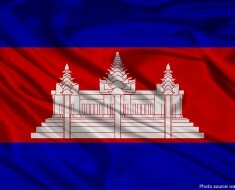 Its name means “White Peak of the Three Spiritual Brothers”. The Himalaya mountains of Bhutan dominate the north of the country, where many mountain peaks reach heights of over 7,000 meters (22,966 feet). 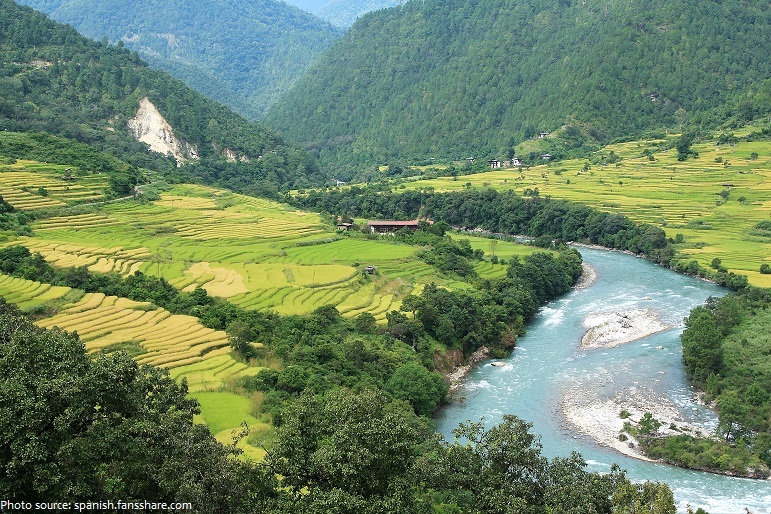 Bhutan’s valleys are carved into the Himalaya by its rivers, fed by glacial melt and monsoon rains. Fertile valleys (less than 10 percent of the land) feed all the Bhutanese. Bhutan is home to at least 59 natural mountain lakes as well as some 2,674 glacial lakes. There are five national parks, four wildlife sanctuaries and one nature reserve, which together constitute about 43% of Bhutan. 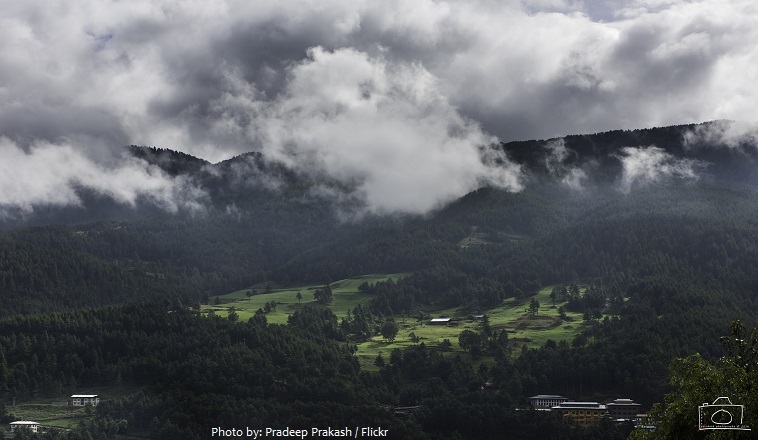 Today, approximately 64% of the total land area of Bhutan is under forest cover. Paro Taktsang is the popular name of Taktsang Palphug Monastery also known as Tiger’s Nest, a prominent Himalayan Buddhist sacred site and temple complex, located in a dramatic setting, perched on a high cliff some 900 meters (3,000 feet) above Paro valley, 3,120 meters (10,240 feet) above the sea level. 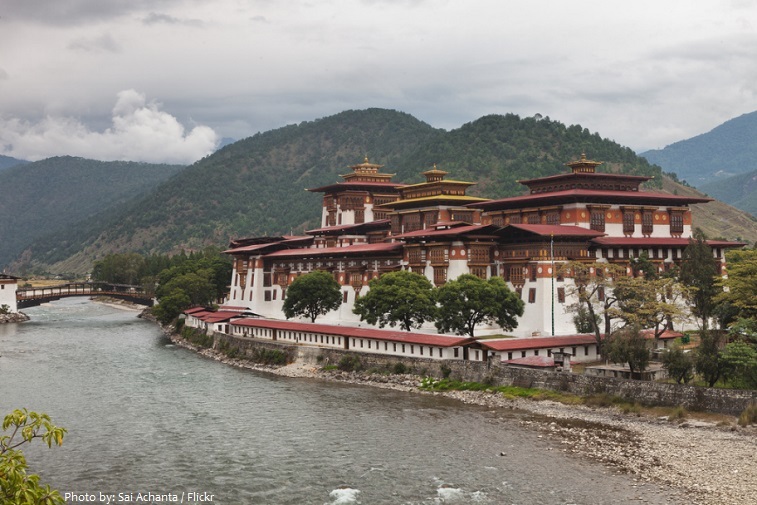 Punakha Dzong is arguably the most beautiful dzong in the country, especially in spring when the lilac-coloured jacaranda trees bring a lush sensuality to the dzong’s characteristically towering whitewashed walls. This dzong was the second to be built in Bhutan and it served as the capital and seat of government until the mid-1950s. 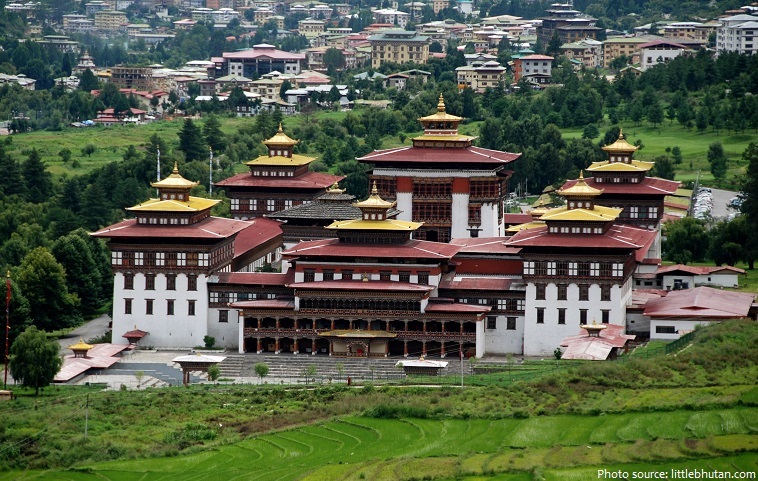 All of Bhutan’s kings have been crowned here. Tashichho Dzong is a Buddhist monastery and fortress on the northern edge of the city of Thimphu in Bhutan, on the western bank of the Wang Chu. It was first constructed in 1216 A.D. by Lama Gyalwa Lhanangpa. Tashichho Dzong has been the seat of the government since 1952 and presently houses the throne room and offices of the king, the secretariat and the ministries of home affairs and finance. 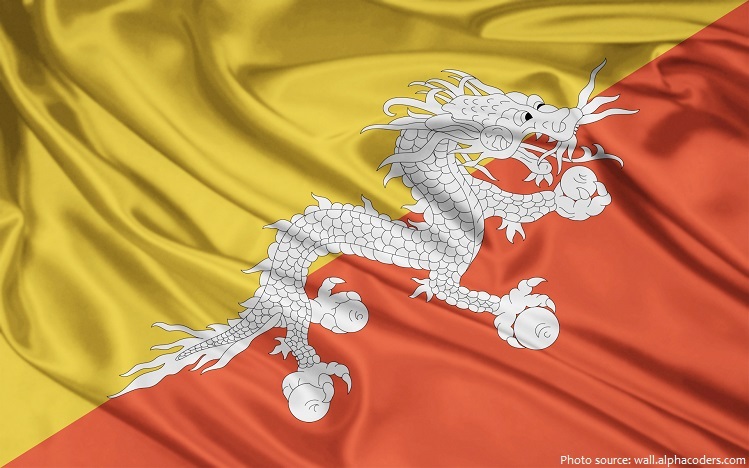 The word “Bhutan” translates to “Land of the Thunder Dragon”. 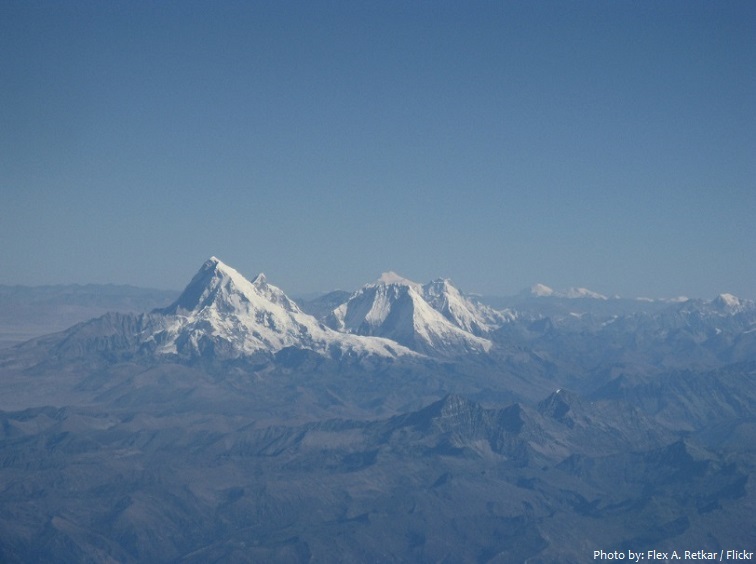 Violent storms coming off the Himalaya gave the country its name. 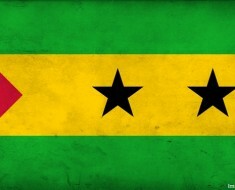 Bhutan is a constitutional monarchy. The King ratified Bhutan’s first constitution in July 2008. The economy of Bhutan, one of the world’s smallest and least developed countries, is based on agriculture and forestry, which provide the main livelihood for more than 60% of the population. Bhutanese cuisine employs a lot of red rice, buckwheat, and increasingly maize. 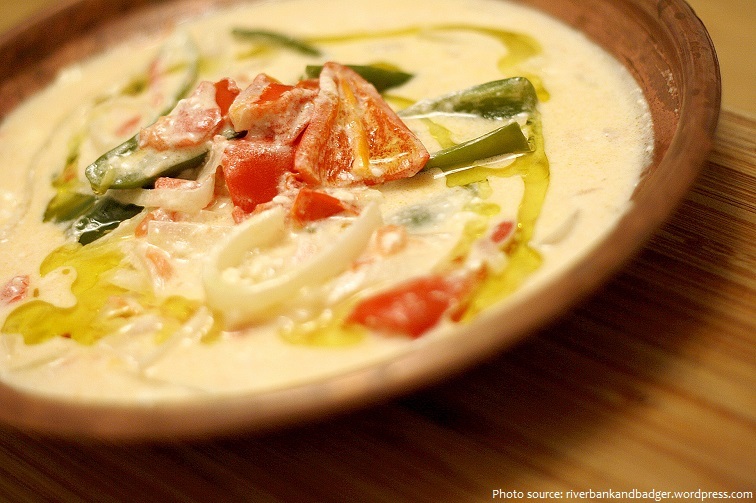 Ema datshi is a spicy dish made with large, chili peppers in a cheesy sauce (similar to chili con queso), which might be called the national dish for its ubiquity and the pride that Bhutanese have for it. This conservative Buddhist kingdom high in the Himalaya had no paved roads until the 1960s, was off-limits to foreigners until 1974, and launched television service only in 1999.
tourism, but at the high cost of $250.00 a day per person. 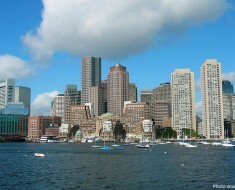 You must arrange all your travel through a government authorized tourist agency, but once you arrive everything is taken care of from food through to your transportation and guide. Paro Airport is the only international airport of Bhutan. 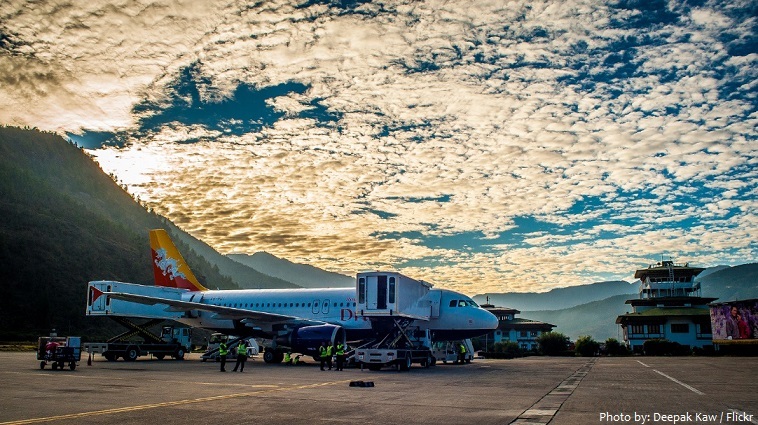 Surrounded by the towering peaks of the Himalayas, Paro is one of the world’s most challenging airports for pilots. 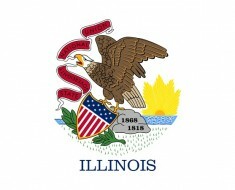 Only eight pilots in the world are currently certified to land here. Bhutan is the happiest country in Asia, and the eighth in the world, despite widespread poverty and illiteracy. A survey pointed to the landlocked Himalayan kingdom’s beautiful mountain scenery, isolated culture and strong sense of national identity as reasons for the contentment of its citizens. Archery is a national and most popular sport in Bhutan and is organized nationally within the Bhutan Archery Federation.